It’s a debate almost as old as the characters themselves: could Batman actually beat Superman in a one-on-one brawl? Everyone has their own opinion on the matter. Some think The Dark Knight doesn’t stand a chance, while others think his brilliant mind will invariably lead him to victory over the Man of Steel. That question was recently posed to General Zod himself, Michael Shannon, and his response was hilariously villainous. As it turns out, he has no interest in the outcome of Batman v Superman: Dawn of Justice's showdown, none at all. I’m so utterly unconcerned with the outcome of that fight. So profoundly, utterly unconcerned. I can’t even come up with a fake answer. I guess I have to root for Superman because he killed me, so I would hope that he would continue his killing spree and become like a serial killer Superman. That’s a new take on Superman. We’d all be in a heap of trouble if Superman was a serial killer. He could just wipe us all out. But then he’d be lonely. It sounds as though a he might be a little bitter that Kal-El snapped his neck like a tooth pick at the end of Man of Steel. Michael Shannon doesn’t care who wins or loses in a battle between The Man of Steel and The Dark Knight. Ultimately, he would rather see a fresh take on the characters where Superman develops a bloodlust after killing Zod and becomes a serial killer. That's certainly something no one would see coming. To be fair, that’s essentially Batman’s greatest fear in Batman v Superman: Dawn of Justice, and the rationale for why they do battle in the first place. Critical reception for Batman v Superman: Dawn of Justice has been mixed – at best – so one genuinely has to wonder whether or not Warner Bros. should take the franchise in that outlandish direction. 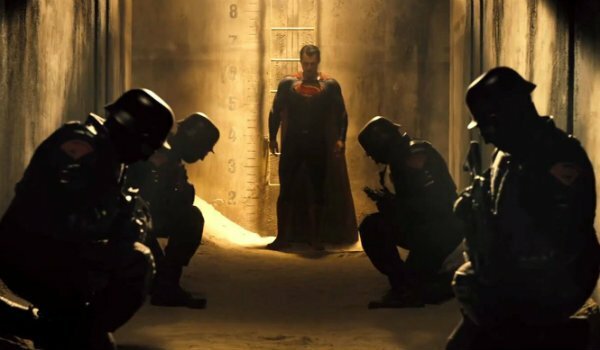 We already know that Ben Affleck’s Batman has had visions of a world where Superman has taken over, and Michael Shannon has been involved with the DCEU from the beginning, so maybe he knows that Superman could eventually go bad at some point during the Justice League franchise. We will just have to wait and see what happens, but that seems doubtful however. Those who have seen the film already know how the battle ends, but there’s still so much story for Warner Bros. to tell. We will bring you all of the latest and greatest DC superhero news as it becomes available to us. Be sure to check out Batman v Superman: Dawn of Justice in theaters this weekend. Stay tuned for more details.